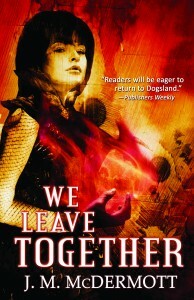 Word Horde published two books in 2014, The Children of Old Leech: A Tribute to the Carnivorous Cosmos of Laird Barron (hardcover, trade paperback), edited by Ross E. Lockhart and Justin Steele, and We Leave Together (trade paperback), a Dogsland novel by J. M. McDermott. Needless to say, we were quite pleased to see both books recommended in the following critics’ best of the year round-ups. 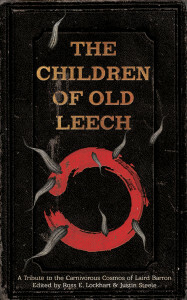 Mlle Ghoul (AKA S. Elizabeth) breaks with the top ten tradition to bring a list of 14 things I liked in 2014, including The Children of Old Leech on a list featuring the best dark music, horror films, notions, and books of the year. 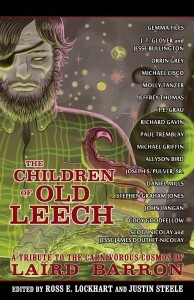 Tangent Online cites a quartet of stories from The Children of Old Leech in their 2014 round up, including “Snake Wine,” by Jeffrey Thomas, “Notes for ‘The Barn in the Wild’,” by Paul Tremblay, “Of a Thousand Cuts,” by Cody Goodfellow, and “The Last Crossroads on a Calendar of Yesterdays,” by Joseph S. Pulver, Sr.
We’ve got some amazing stuff in store for you for 2015, including two debut novels, Molly Tanzer’s Vermilion and Nicole Cushing’s Mr. Suicide, the anthologies Giallo Fantastique and Cthulhu Fhtagn! (both edited by Ross E. Lockhart), and Orrin Grey’s new collection, Painted Monsters. 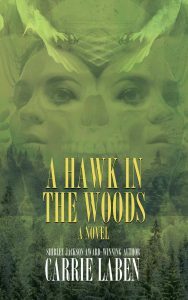 We’ll be announcing how you can preorder these books soon, so stay tuned!